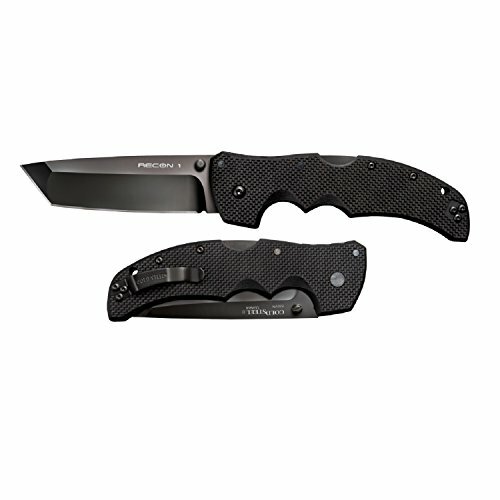 A popular knife with military and law enforcement personnel, fire and rescue crews as well as civilians who appreciate a hardworking, dependable tool for any occasion. Sharp as a scalpel and tough as a tank. Recon folder construction has been over engineered to make the knife as strong, durable and effective as humanly possible. This Cold Steel classic is thin, light, razor sharp and amazingly strong! features Cold Steel world renowned tri-ad lock, making them almost impervious to shock and keeping your precious fingers safe from harm when using your knife in even the most taxing conditions. From the sturdy little workhorse that is Cold Steel Micro series to the beastly cutting power of our Recon series- whatever your mission, the Recon I is there for you.